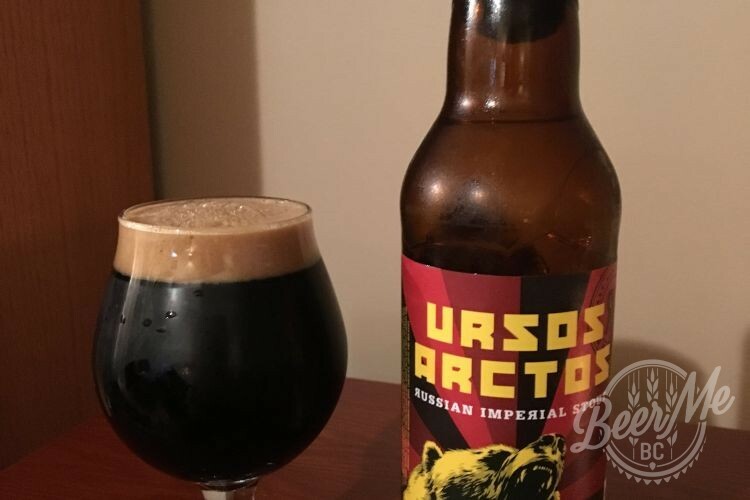 Named after the Eurasian Brown Bear, Ursos Arctos is a beast of a beer and the 2017 vintage, aged more than a year, has still yet to be tamed. This beer pours black with the smallest deep brown highlights. A lasting dark tan head is accompanied by a somewhat muted coffee aroma. The body is medium full, most likely much less full than when fresh, as the residual malt sugars were consumed as it aged. As in many aged Imperial Stouts, the flavours are becoming increasingly well integrated into a smooth, creamy roastiness. Drinker beware, however, as too fresh from the fridge this beer has a harsh, almost acrid, burnt roastiness. This burnt flavour diminishes as the beer warms, although still present, specifically in the somewhat tough finish. 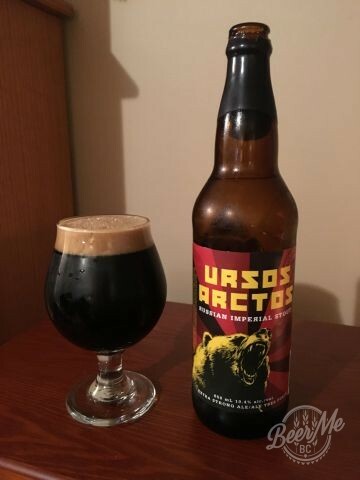 At this point, Ursos Artcos has little to no oxidation notes, which will likely take more cellaring to develop. At warmer temperatures the roastiness is better balanced by the smooth creaminess and perceived dark malt sweetness. A tale of two beers, this beer needs to be drank at warmer temperature to minimize the initial harsh burnt flavours. A big beer that has aged well and will likely continue to do so. A harsh burnt roastiness that tends to dominate.